The 2001 Salzburg Festival was the last one for which Gérard Mortier and Hans Landesmann were responsible. Mortier had been the festival’s artistic director since 1992, while Landesmann had specific responsibility for the festival’s concerts. Together, they made changes to the concert schedules, which had remained more or less the same for decades, introducing new emphases alongside the traditional series of orchestral concerts, matinees, serenades, solo recitals and song recitals. In particular, artists with whom the festival was particularly closely associated were invited to assume responsibility not only for individual events but also for whole cycles. One such artist was Sándor Végh, who between 1974 and 1996 left a decisive mark on the festival with the Salzburg Camerata, which he had helped to turn into a world-class ensemble. And the pianist Maurizio Pollini even created a new kind of mini-festival within the Salzburg Festival with the “Progetto Pollini,” which he organized between 1995 and 1999. The 2001 Salzburg Festival saw two such projects, both of them focusing on artists who were especially closely associated with the town. Alfred Brendel’s seventieth birthday was marked by a five-part homage in the course of which the Austrian pianist not only performed all of Beethoven’s piano concertos with the Vienna Philharmonic under Sir Simon Rattle but also accompanied a lieder recital by Matthias Goerne and recited some of his own texts to works by Kurtág and Ligeti at a recital by one of his colleagues, the French pianist Pierre-Laurent Aimard. 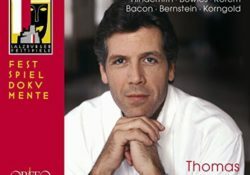 The second project tailored to a particular performer was entrusted to the baritone Thomas Hampson, whose four recitals, entitled I Hear America Singing, constituted an exploration of American song, an area largely unfamiliar to listeners not only in Salzburg but elsewhere too. In a program with the Vienna Radio Symphony Orchestra under Dennis Russell Davies in the Felsenreitschule, he performed orchestral songs by Kurt Weill and Aaron Copland alongside works by Charles Ives and Karl Amadeus Hartmann, and he also organized three song recitals at the Mozarteum, one of them on his own, the others with the soprano Barbara Bonney and the mezzo-soprano Susan Graham. There can have been few previous song recitals at the Salzburg Festivals at which none of the works had been heard there before. The Hampson Project was a great success, especially with festival audiences, who have numbered Hampson among their particular favorites since he made his festival debut in 1988 as Almaviva in Mozart’s Le Nozze di Figaro. Since then he has returned to Salzburg every summer. His Almaviva was followed in 1990 and 1991 by Guglielmo in revivals of Michael Hampe’s production of Così fan tutte, a production designed by Mauro Pagano and conducted by Riccardo Muti. During the Mortier era he appeared as King Roger in Karol Szymanowski’s opera of the same name (1998), he sang the title role in Ferruccio Busoni’s Doktor Faust (1999) and he took the part of Orestes in Gluck’s Iphigénie en Tauride (2000). More recently he has appeared as Mozart’s Don Giovanni (2002 and 2003) and as Germont in Verdi’s La traviata (2005). Finally, he has performed on countless occasions at orchestral concerts and matinees as well as in intelligently selected programs of songs that have been the acclaimed high points of every summer festival. 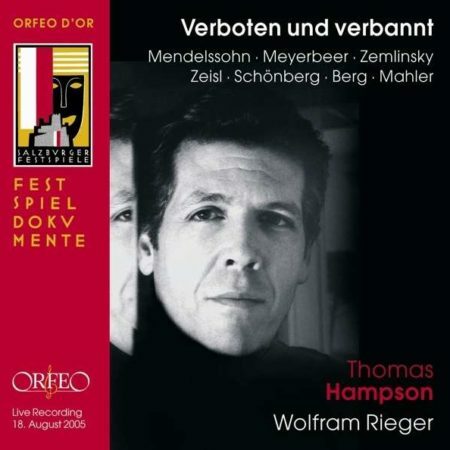 And it is as a song recitalist that Thomas Hampson differs most markedly from many of his eminent colleagues. 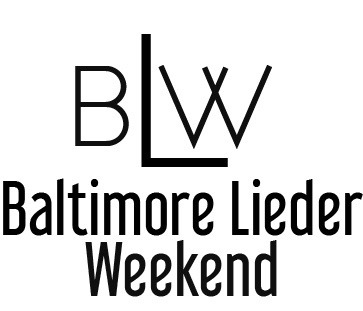 It is the particular ability to communicate that distinguishes the lieder singer. The listener never has the feeling that he is being fobbed off with the more or less perfect products of the singer’s vocal artistry. With Hampson, one always senses the wish to engage his audience in a very personal way, introducing them to something new, moving them and winning them over. This is especially true of the program that he gave on August 12, 2001 and that marked the launch of his exploration of American song. Even his vividly spoken English introduction ensured that listeners were ready to enter a new world of lyrical thoughts and images and emotions. The demanding program follows a clear concept, setting store by internal tensions rather than superficial effects. And when, at the end of almost eighty minutes of an exceptional journey, Hampson seeks even more direct contact with his audience through a delightful mixture of seriousness and relaxed good humor, it is not only the singer who has triumphed, so has his underlying concept and concern. The present release comprises a live recording of this concert and has been produced with the help of Thomas Hampson. It is supplemented by excerpts from the other two programs and also by an excerpt from a related project that Thomas Hampson worked on at the 2005 Salzburg Festival. Among the composers who were banned and banished by the National Socialists and who found a new home in America was the Viennese composer Erich Wolfgang Korngold. Our recording ends with settings of two poems by Richard Dehman and Joseph von Eichendorff that Korngold wrote in America.